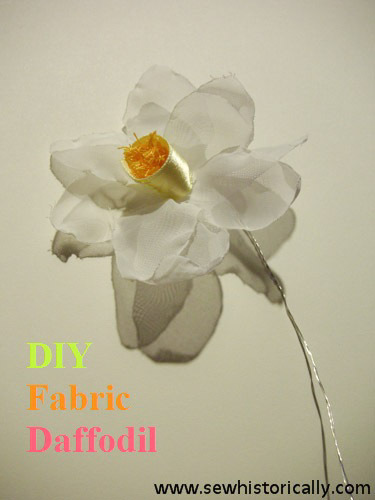 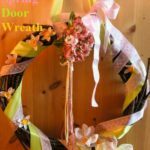 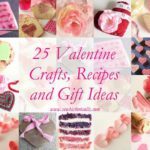 In this tutorial you’ll learn to make this sheer fabric daffodil. 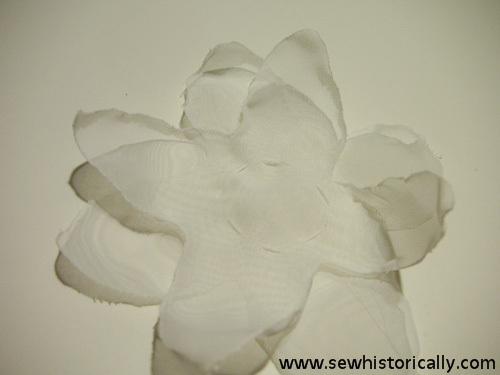 Cut two flower shapes, each with four petals. 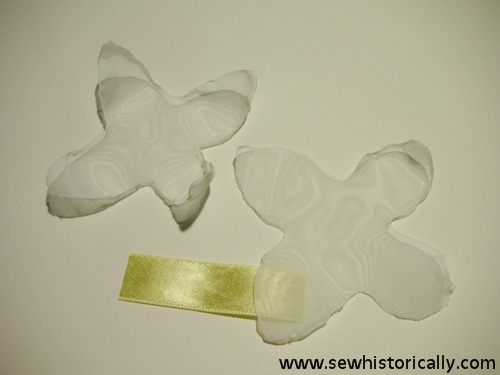 Cut a small strip from the yellow ribbon. 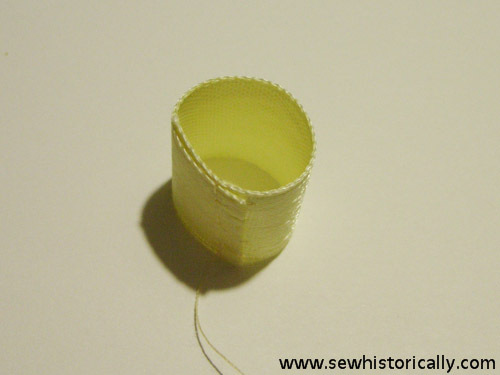 … so that you’ll get a small tube. 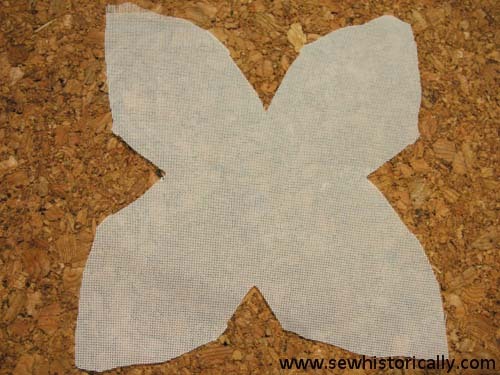 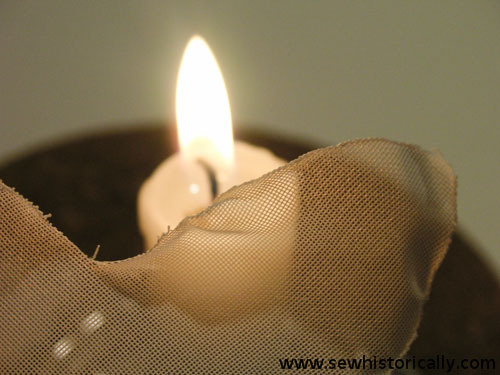 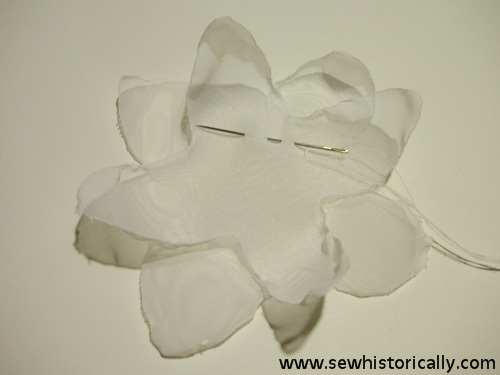 … and sew with running stitches a small circle through both fabric layers. 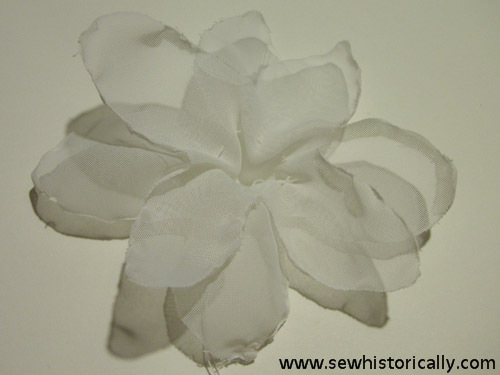 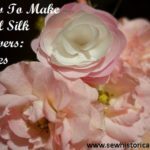 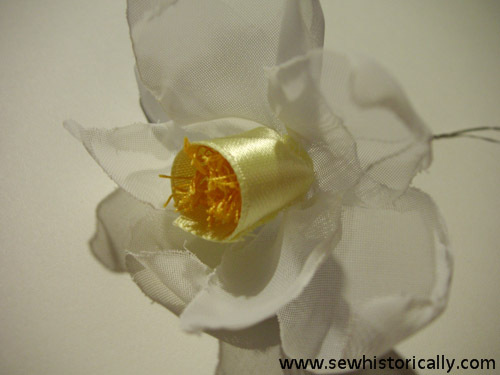 Draw the thread tight so that the petals are slightly gathered. 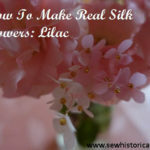 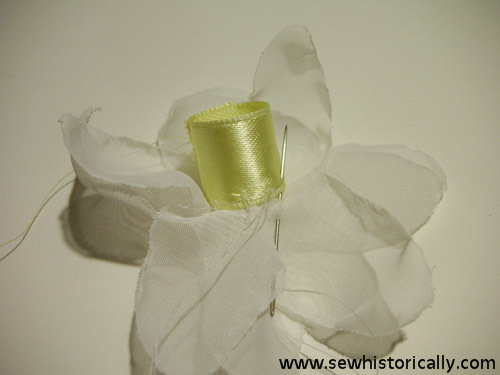 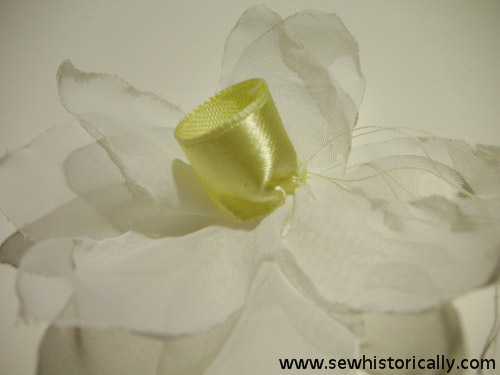 To make the stamens, wrap yellow sewing thread round your fingers. 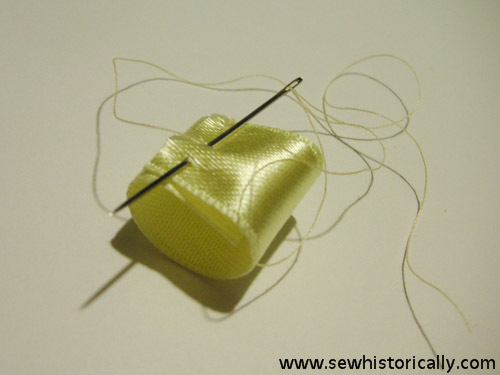 Wrap wire round the middle of the yarn loops. 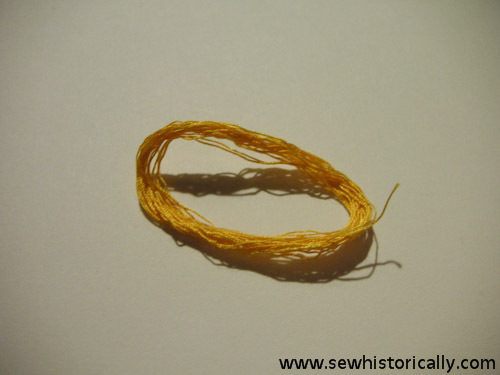 Cut both ends of the yarn loops. 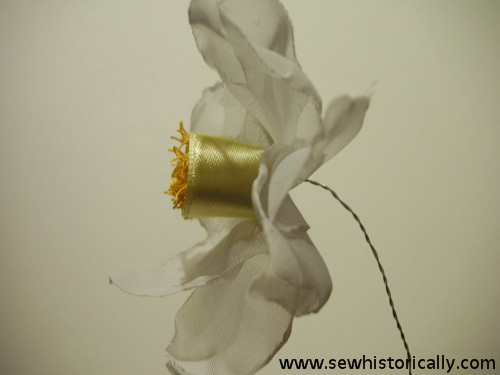 Pierce each end of the wire separately through the middle of the flower, each hole should lie a bit apart. 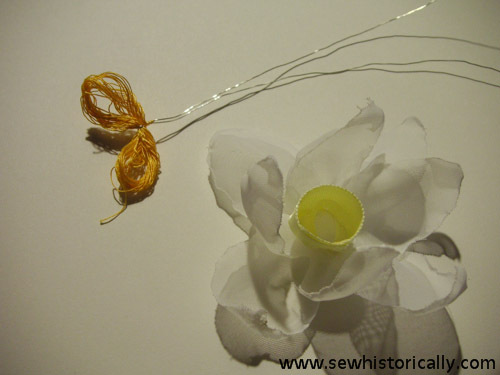 Twist the wire, and your DIY narcissus is finished.